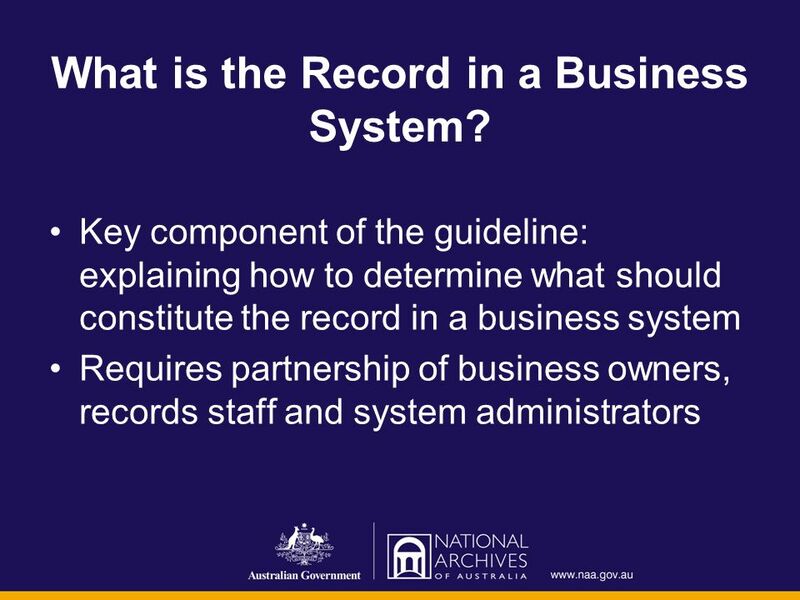 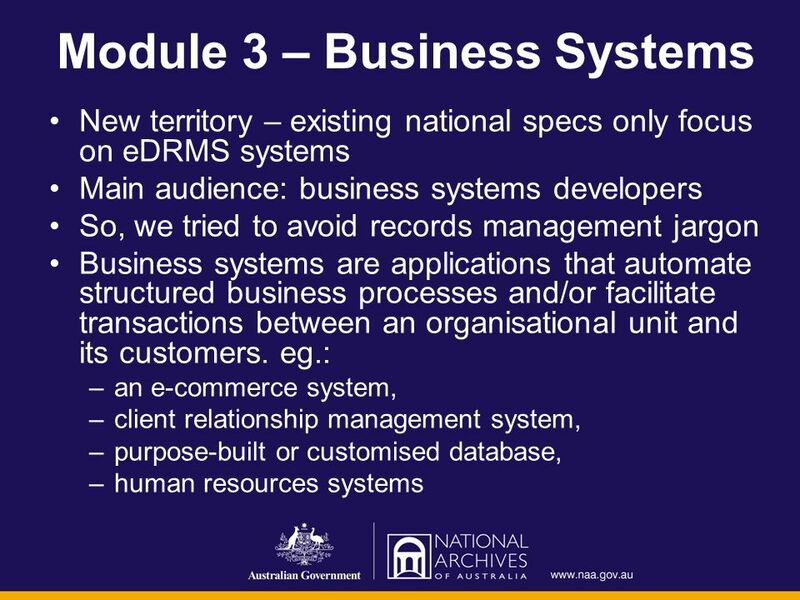 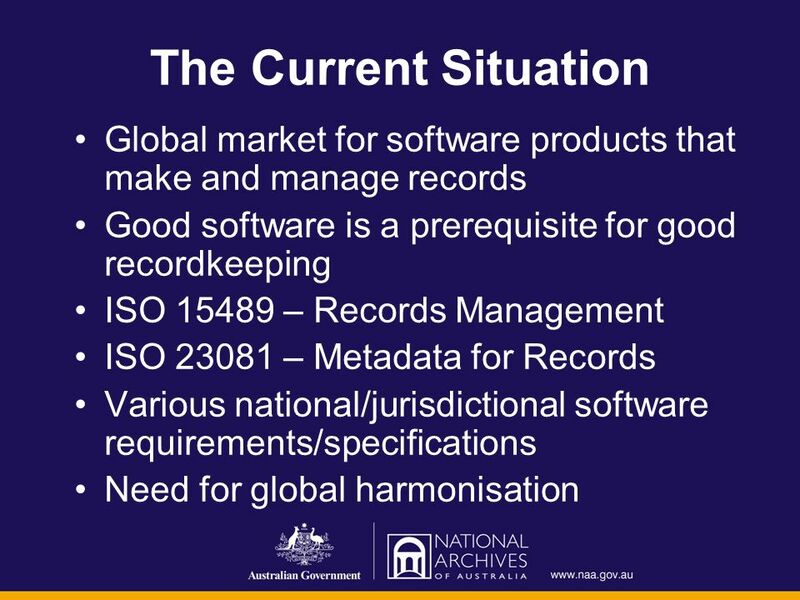 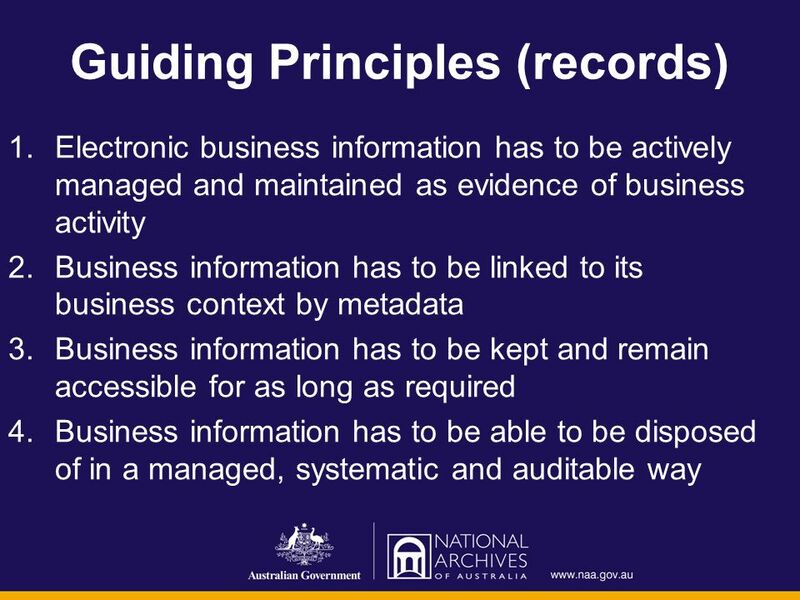 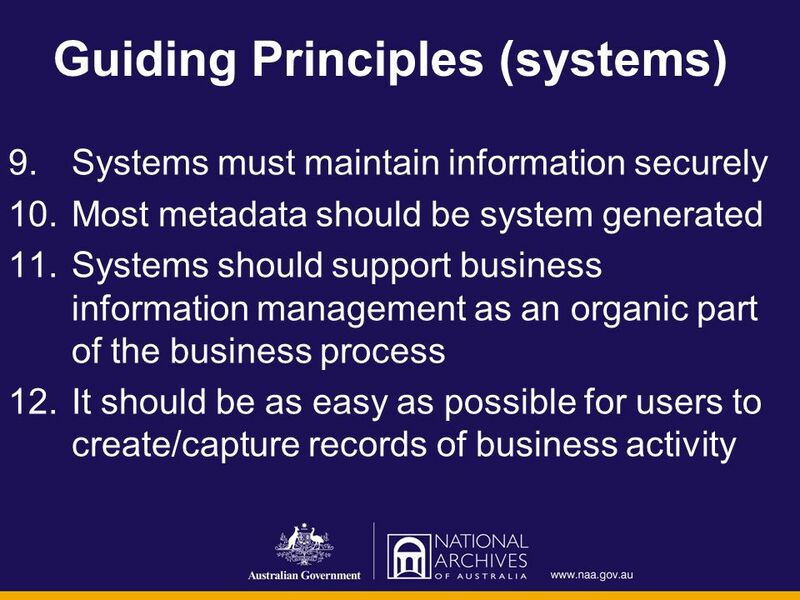 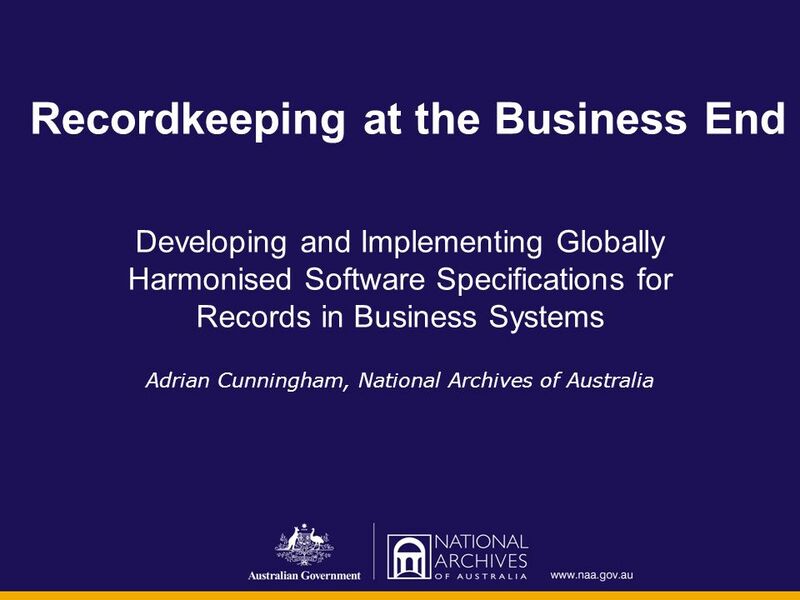 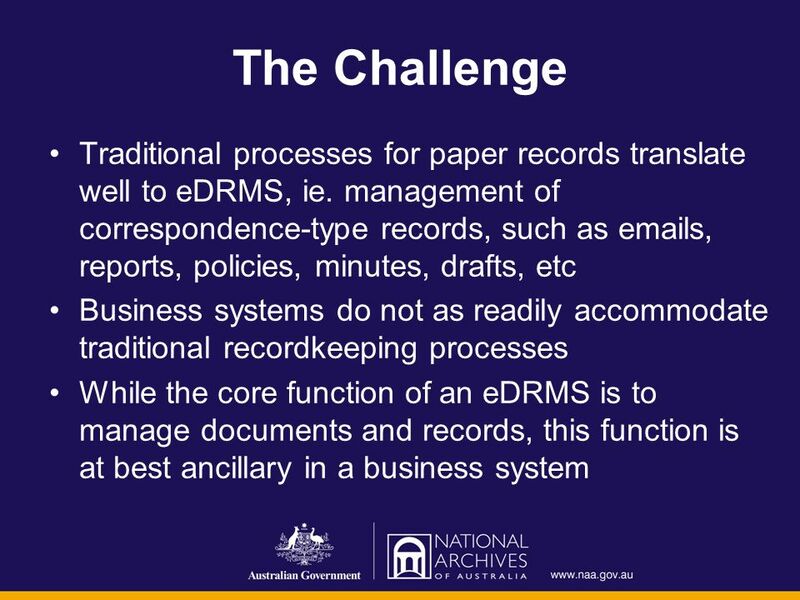 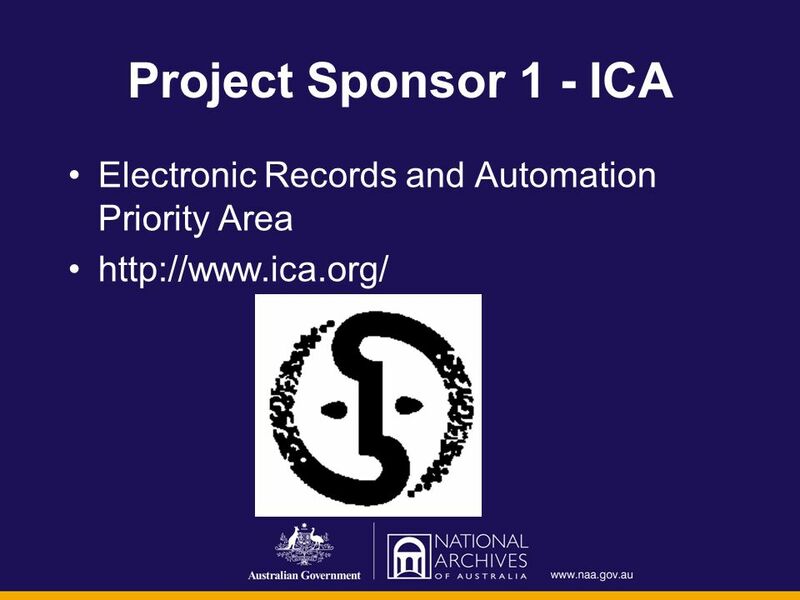 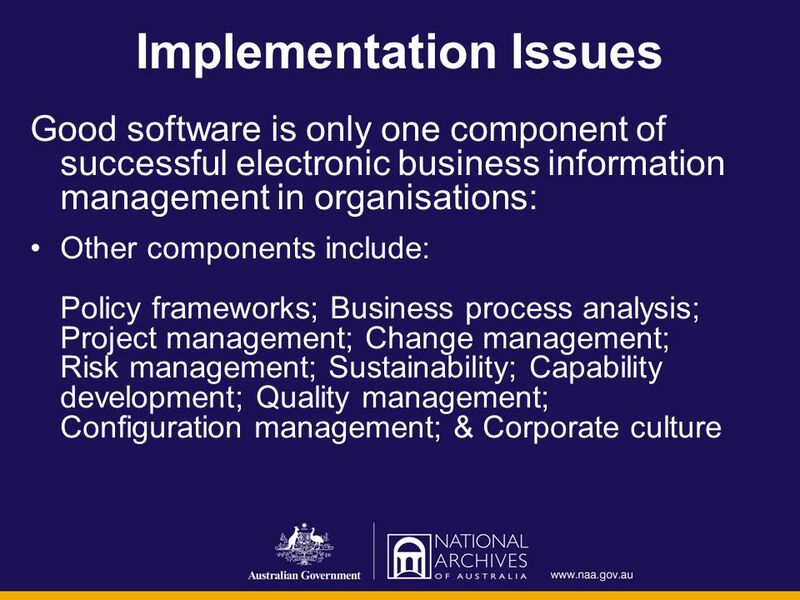 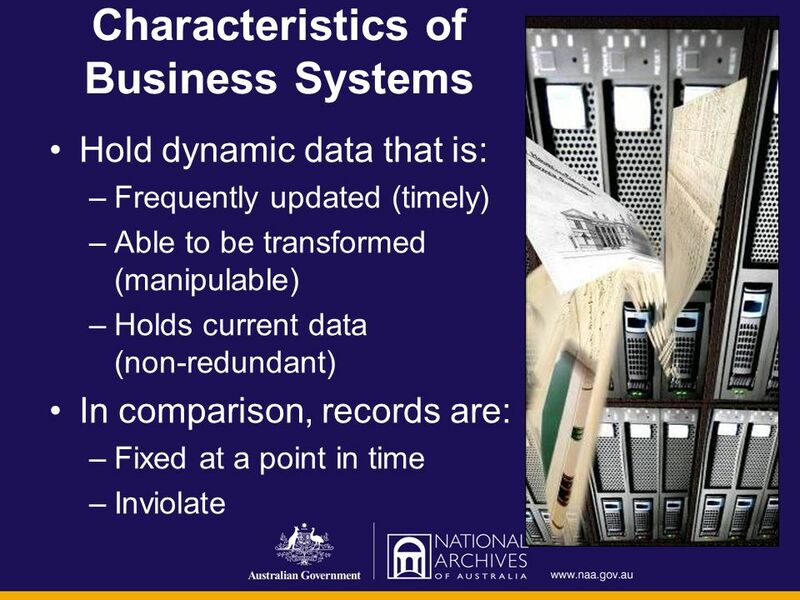 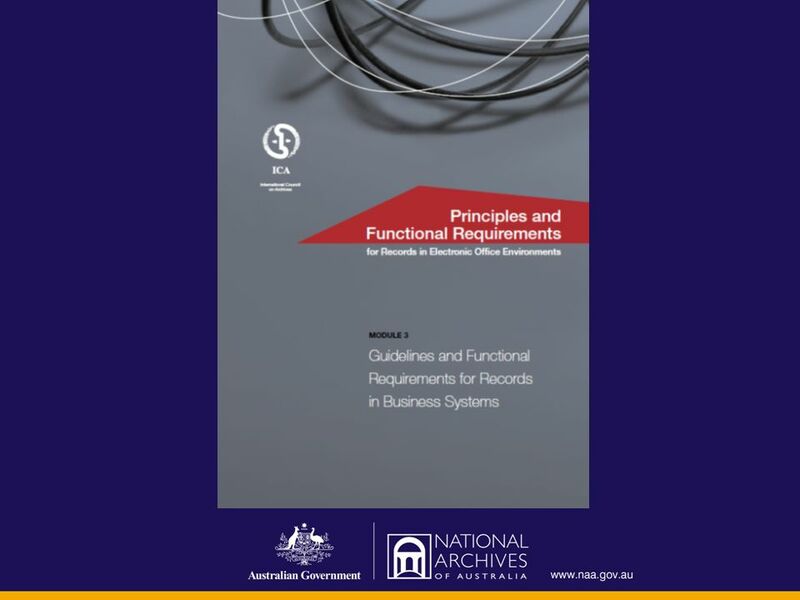 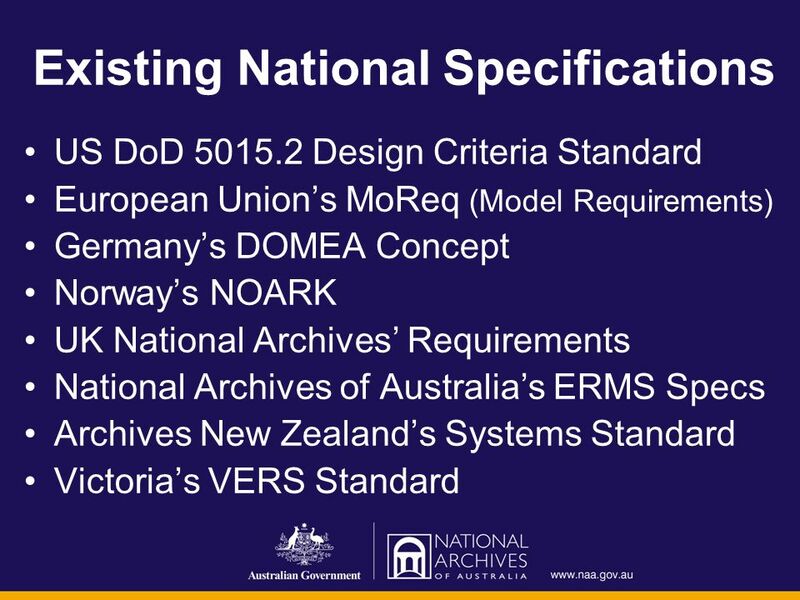 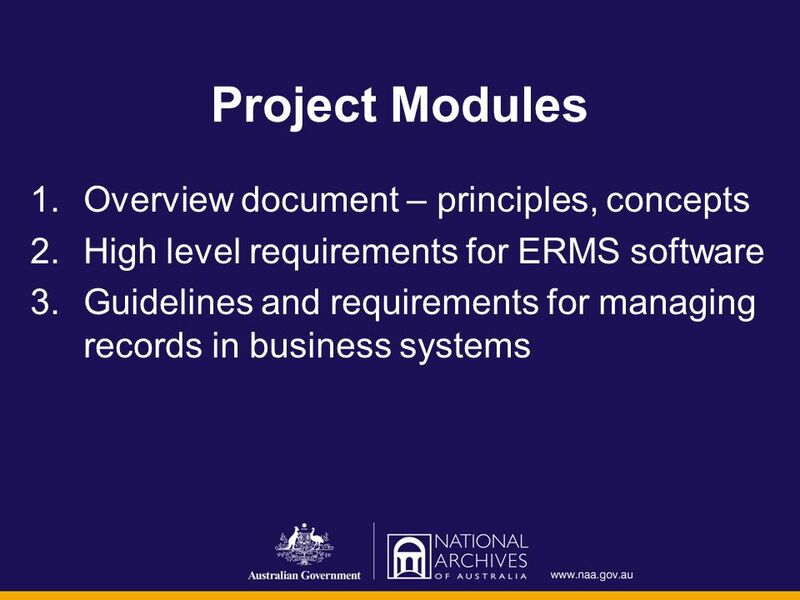 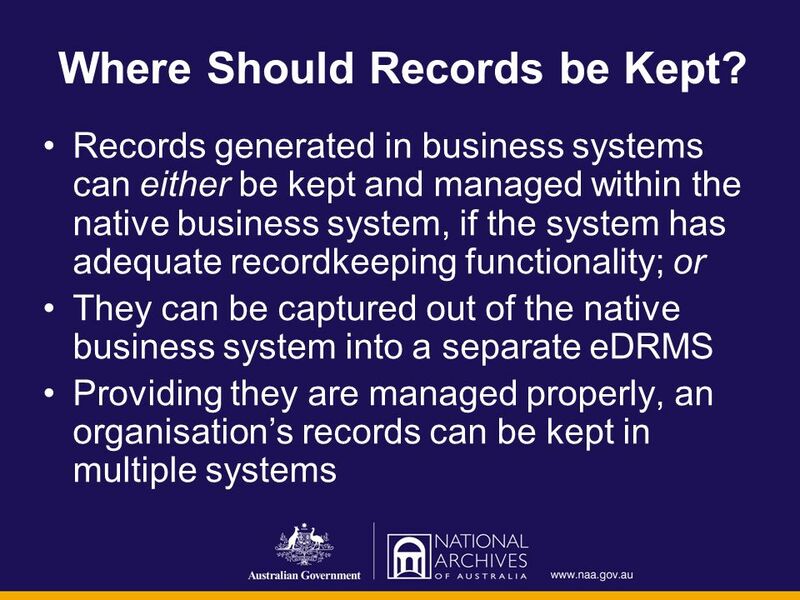 Download ppt "Recordkeeping at the Business End Developing and Implementing Globally Harmonised Software Specifications for Records in Business Systems Adrian Cunningham,"
GIS Executive Council and Advisory Committee Update November 2010. 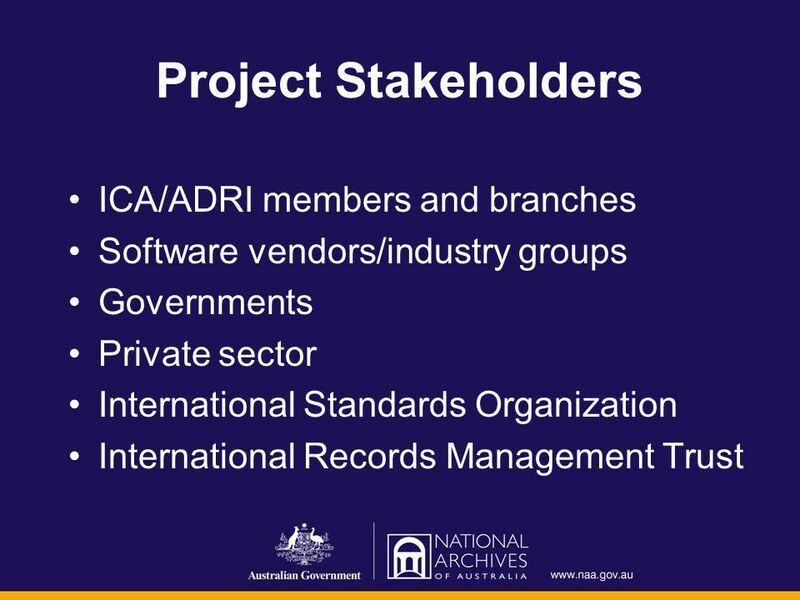 Linking research & learning technologies through standards June Handle Workshop Towards a National Persistent Identifier Infrastructure Handle. 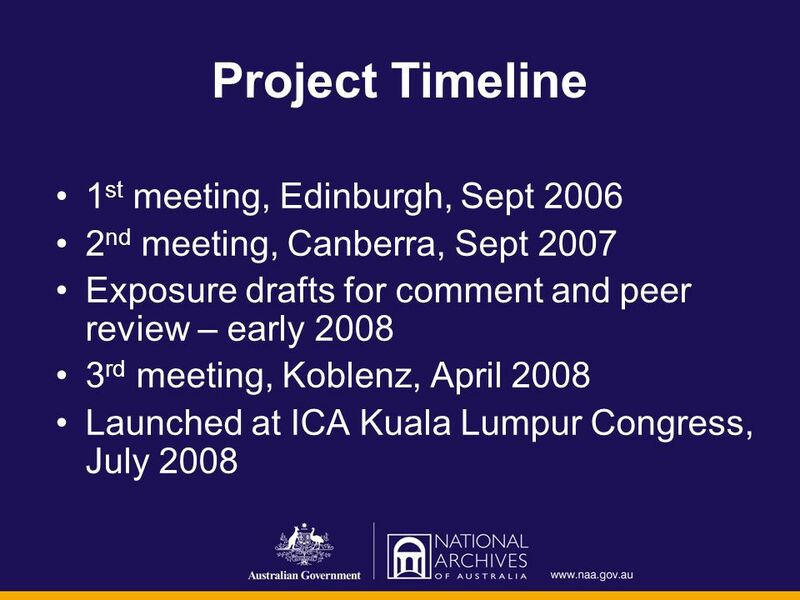 10th Annual Open Forum for Metadata Registries New York, NY, July 9-11, 2007 Track 3 – Future Directions Metadata challenges and solutions for socio-economic. 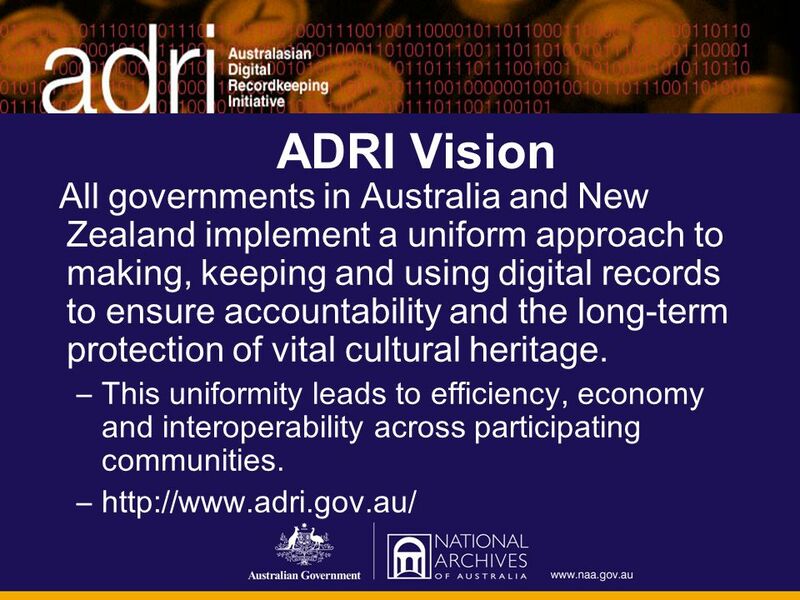 A centre of expertise in data curation and preservation London :: ARK Group Workshop: Archiving the Web :: 28 Sept 2006 Funded by: This work is licensed. 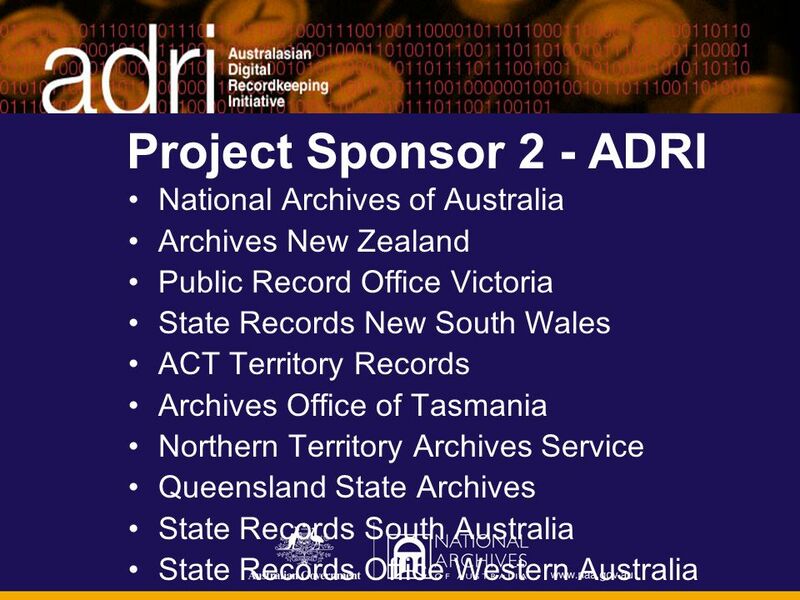 Smarter Information Management Presenter: Dianne Macaskill Chief Executive Archives New Zealand. 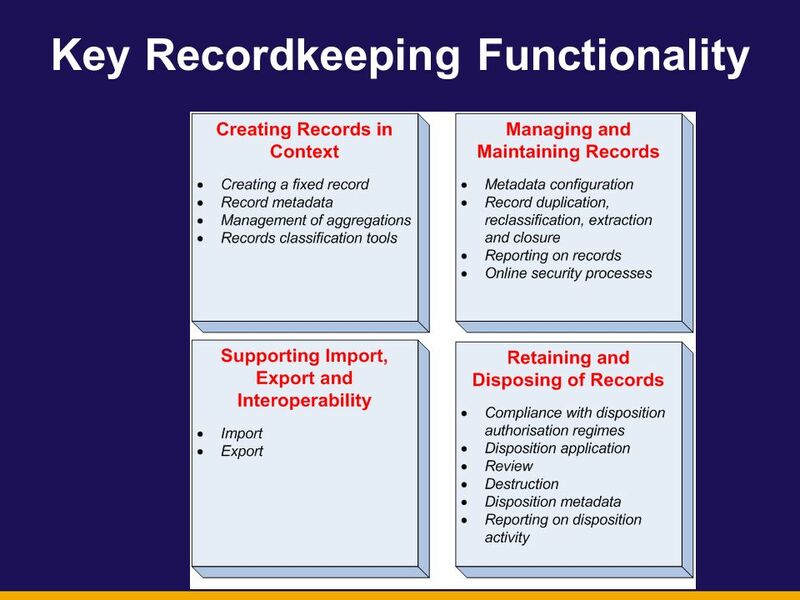 The Impact of Auditing on Records Management Risk and Compliance Susan B. Whitmire, CRM, FAI Manager, Enterprise Records and Information Management BlueCross. 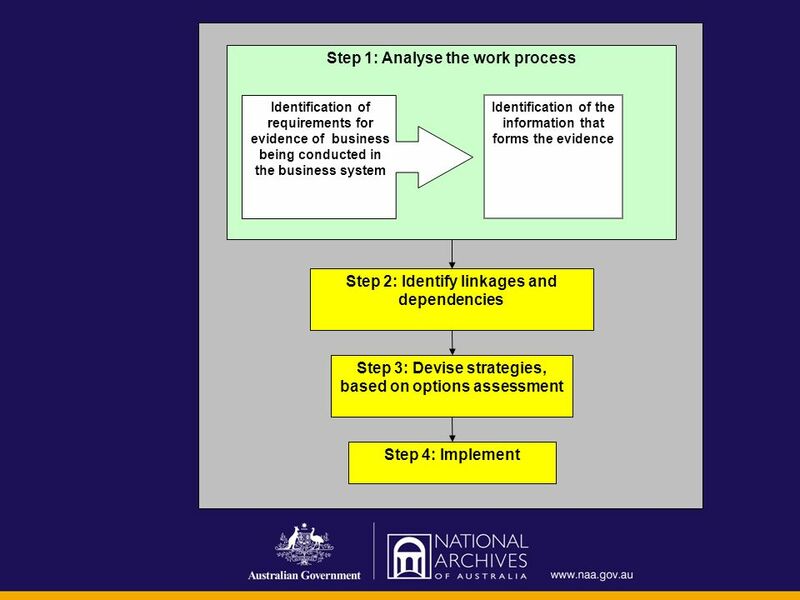 Draft Change Management Strategy Framework and Toolkit An Overview TAU Workshop: Vulindlela Academy (DBSA) 12 April 2012 Presenter: Dr Patrick Sokhela. 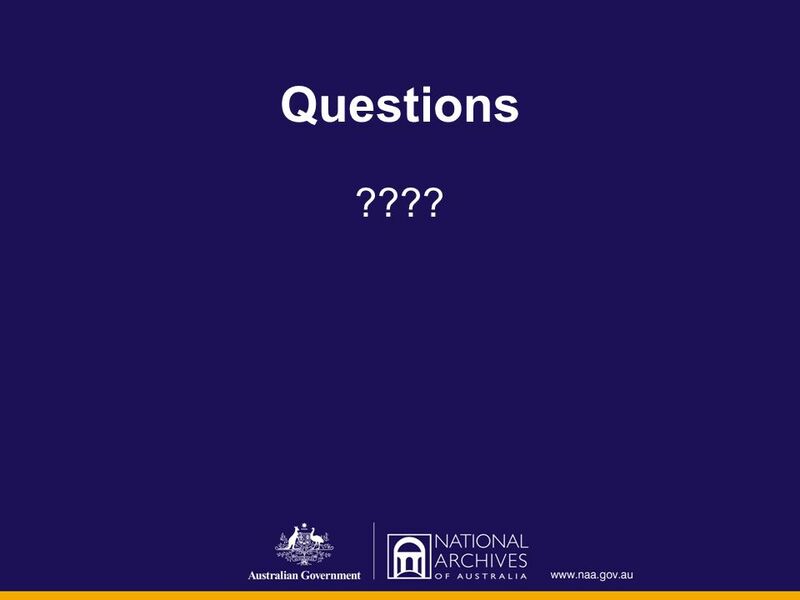 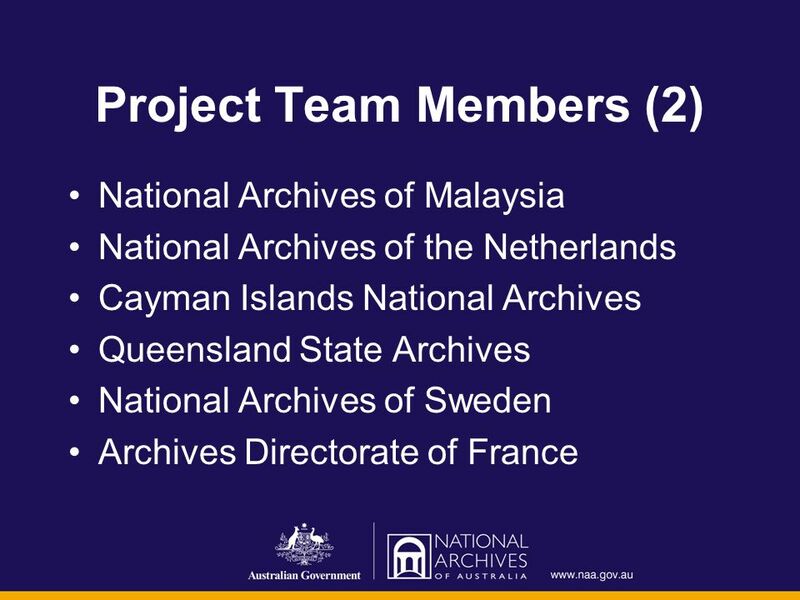 2008 Productiv Case Study SharePoint Server 2007 – Extending the Platform to meet broader government objectives National Archives of Australia - Integrating. 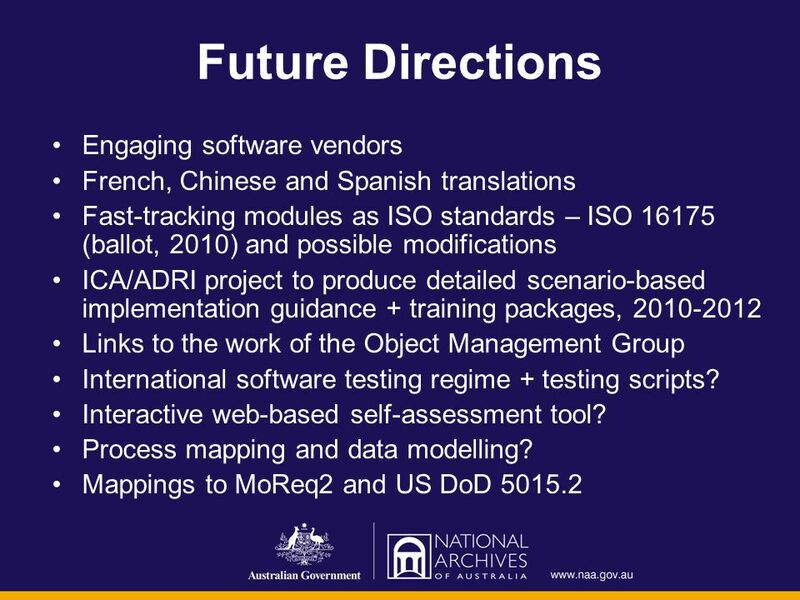 The Next Generation Air Transportation System Future of Airports and Aviation 29 th Annual Airports Conference March 1, 2006. 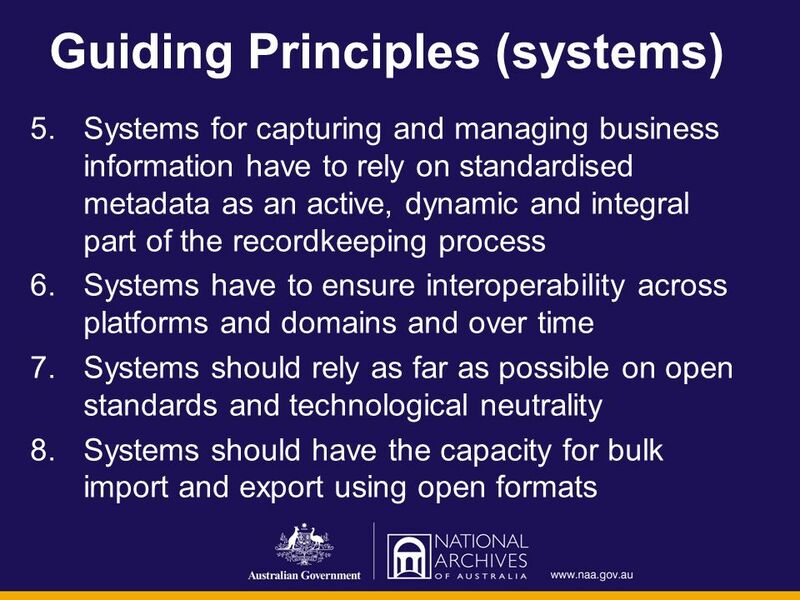 Digital Futures International Forum - Tuesday 18th September 1 Digital Futures International Forum The Digitisation Standard: Back & Forth Stephen Clarke. 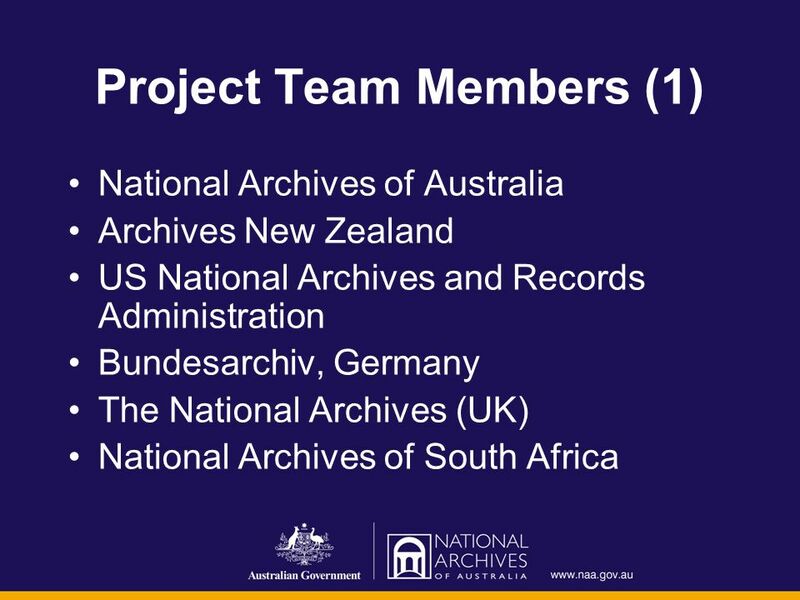 Caring and Sharing Collaboration in Digital Curation outside North America Ross Harvey Simmons College, Boston Curation Matters: 17 June 2010.